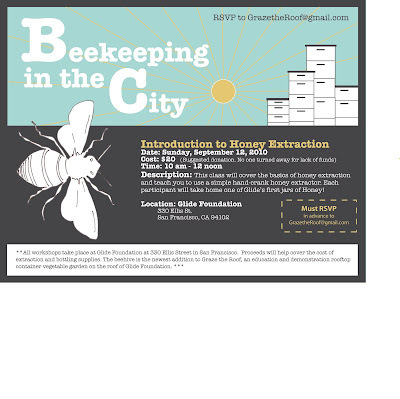 Beekeeping in the City - Introduction to Honey Extraction! DESCRIPTION: This class will cover the basics of honey extraction, and teach you how to use a simple hand-crank honey extractor. Each participant will take home one of Glide’s first jars of Honey! Don't wear your best clothes. It may get sticky! Proceeds will help cover the cost of purchasing extraction and bottling supplies!